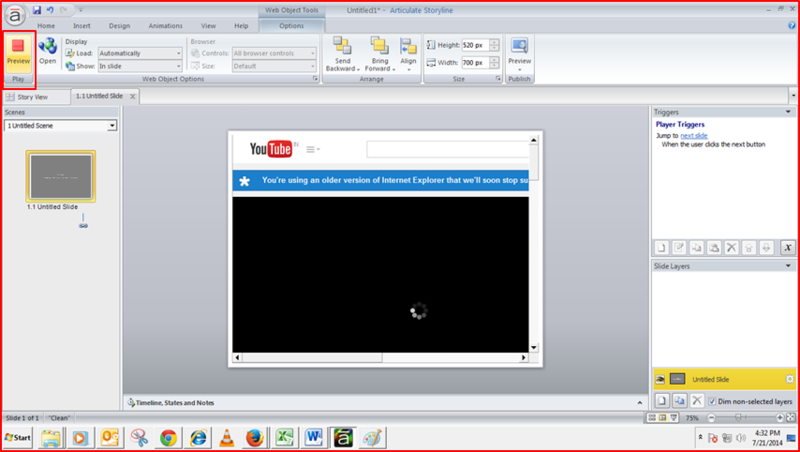 YouTube is an incredibly effective tool for training your employees and customers. Companies can share their videos about employees’ health and safety, product training, or end-user training on any new software on YouTube. 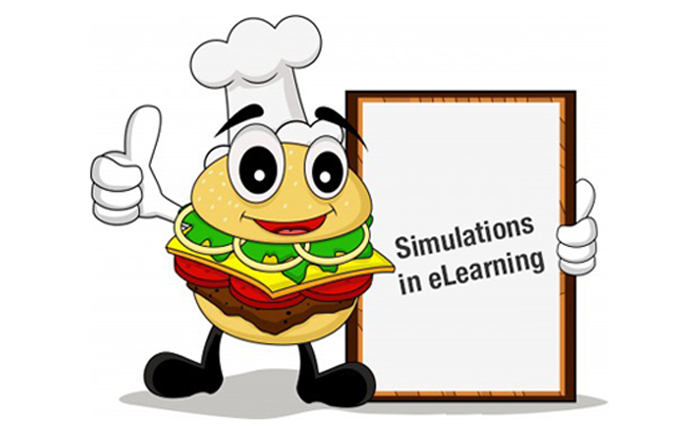 These YouTube videos can also be shared through an eLearning course, when you want to your employees to know more about a particular topic. 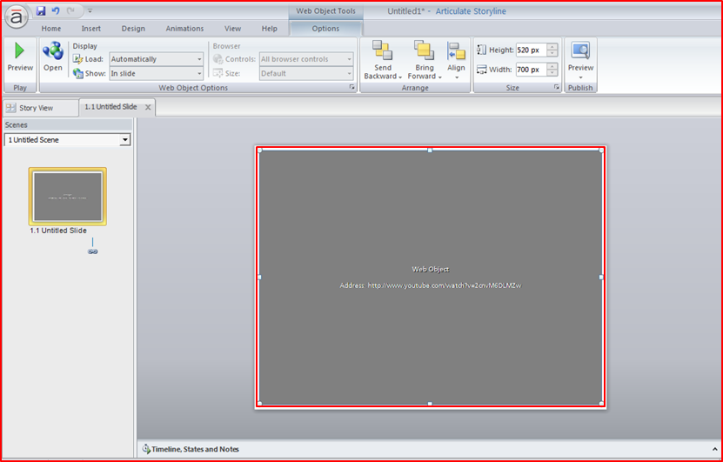 You can do this using Articulate Storyline. Let’s see how. 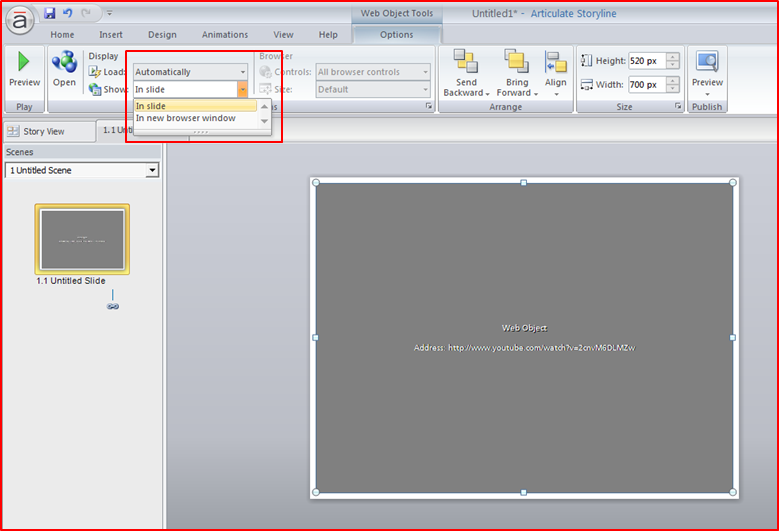 Click the Insert tab and then click the Web Object button; a new window opens. Enter the address or link of the video you want to share in the course in the Address field. You can also preview the link using the Test Link button. It will open in a new browser. By default, the video will occupy the entire slide in Storyline. Finally, select whether you want view the output in the slide or in a new browser by selecting the options In Slide or In new browser window respectively. By default, the In slide view selected. Following these steps, you can add any Web Object, such as videos from your website, YouTube, or any other social media sites. 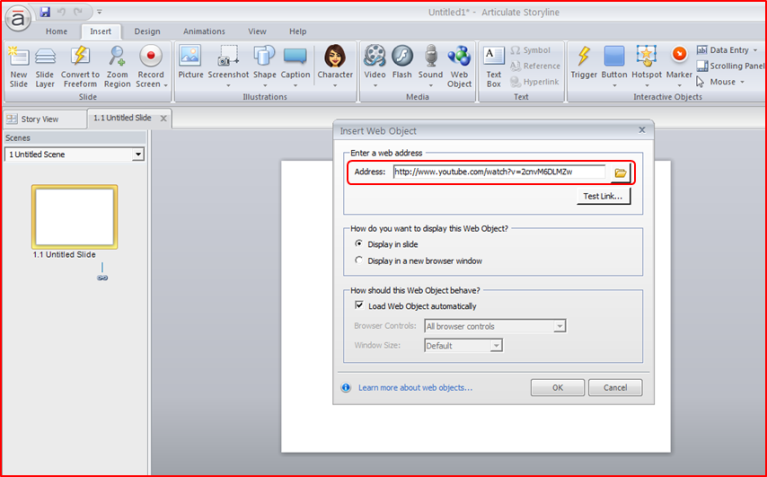 This is a simple, effective method to add videos to your Storyline courses to make them more engaging and informative. Hope you find the post useful. Do share your views.